The Broadway production of Stephen Karam’s much-raved-about new play, The Humans, recently named “The Best Play of the Year” by New York Magazine, will begin previews at Broadway’s Helen Hayes Theatre (240 West 44th Street) on Saturday, January 23, 2016, and open officially on Thursday, February 18. Click here for tickets and more information. Helmed by Tony Award winner Joe Mantello, The Humans cast will feature its entire acclaimed Off-Broadway company from the Roundabout’s production including Cassie Beck (Aimee), Reed Birney (Erik), Jayne Houdyshell (Deirdre) Lauren Klein (Fiona “Momo” Blake), Arian Moayed (Richard) and Sarah Steele (Brigid). The angst, anguish and amity of the American middle class are first coaxed – then shoved – into the light in this uproarious, hopeful, and heart-breaking play that takes place over the course of a family dinner on Thanksgiving. Breaking with tradition, Erik Blake (Birney) has brought his Pennsylvania family to celebrate and give thanks at his daughter’s apartment in lower Manhattan. As darkness falls outside the ramshackle pre-war duplex, and eerie things start to go bump in the night, the Blake clan’s deepest fears and greatest follies are laid bare. Our modern age of anxiety is keenly observed, with humor and compassion, in this new American classic. The creative team includes David Zinn (Sets), Sarah Laux (Costumes), Justin Townsend(Lighting) and Fitz Patton (Sound). THE HUMANS is Stephen Karam’s second play commissioned by Roundabout Theatre Company, following his Pulitzer Prize finalist Sons of the Prophet (his first Roundabout commission; 2011) and the hugely acclaimed premiere of Speech & Debate (2007). Karam’s work at Roundabout is a part of their New Play Initiative; a collection of programs designed to foster and produce new work by emerging and established artists. THE HUMANS is produced on Broadway by Scott Rudin and Barry Diller. 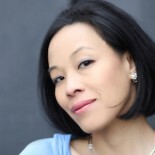 This entry was posted on January 17, 2016 by Lia Chang in Asian American Artists, Entertainment, New York, Press Release, Theater and tagged Arian Moayed, Backstage Pass with Lia Chang, Cassie Beck, Helen Hayes Theater, Jayne Houdyshell, Joe Mantello, Lauren Klein, Lia Chang, Reed Birney, Roundabout Theatre Company, Sarah Steele, Stephen Karam, The Humans.